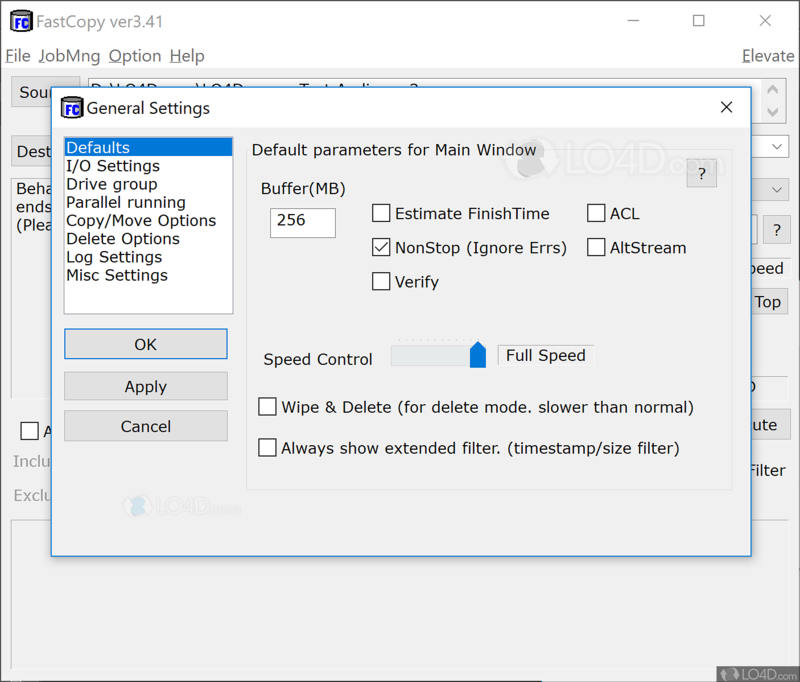 FastCopy is a freeware alternative to the Windows-based copy feature, promising faster speeds. The program is actually pretty simple and presents itself with a list of different options while transferring a file. It isn't exactly the easiest way to go about file transfer, but certainly a viable alternative. FastCopy's basic features are overshadowed by the cluttered user interface. It is definitely easy-to-use, but required knowledge and know-how. For those used to it though, it isn't such a drawback. Copying files with a different timestamp or size are probably some of the biggest pluses. 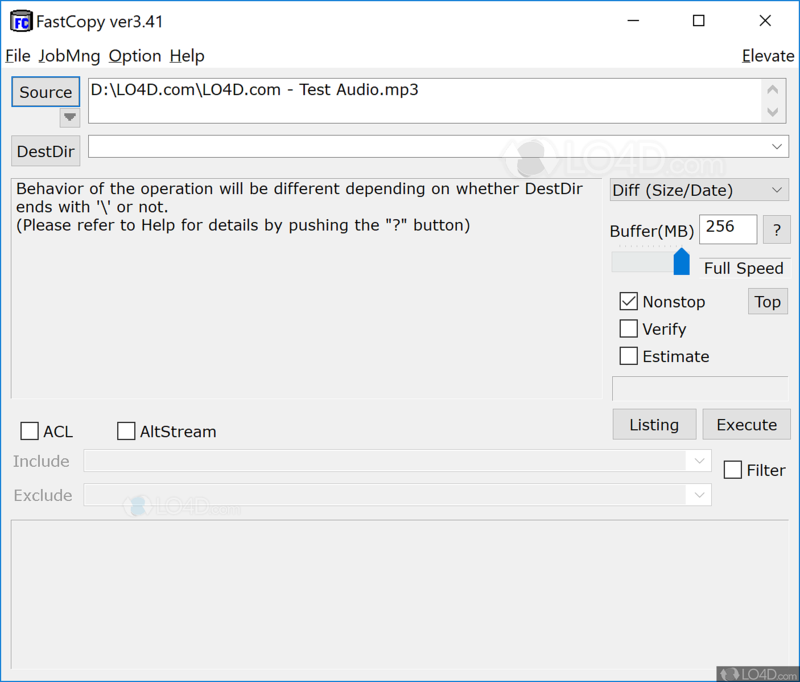 FastCopy does live up to its name and seemed to be able to copy files faster on both Windows XP and Windows 8-based systems. 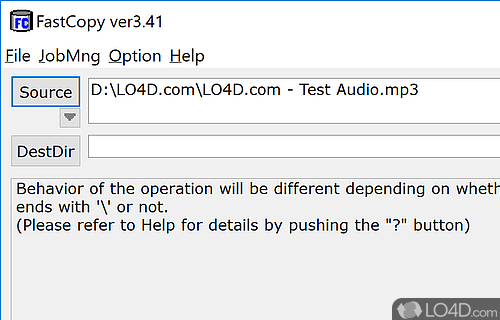 It isn't that much faster, but makes a difference when copying larger files. Though we didn't notice any difference when copying between SSD drives, so it might be a little more suitable for users with SATA hard drives. Overall, FastCopy does provide a speed increase but it isn't necessarily for the novice user considering its additional options. Definitely not a bad thing for users who know what they want. FastCopy is licensed as freeware for the Windows (32-bit and 64-bit) operating system / platform from file organizer software without restrictions. FastCopy 3.63 is available to all software users as a free download (Freeware). Compatibility with this file copier software may vary, but will generally run fine under Microsoft Windows 10, 8, 8.1, 7, Vista and XP on either a 32-bit or 64-bit setup. A separate x64 version may be available from Shirouzu Hiroaki. This download is distributed as FastCopy363_installer.exe. We have tested FastCopy 3.63 against malware with several different programs. We certify that this program is clean of viruses, malware and trojans. 4.1 out of 5 based on 40 ratings.